The Interior Exploration using Seismic Investigations, Geodesy, and Heat Transport (InSight) lander is all set to explore the deep interior of Mars. 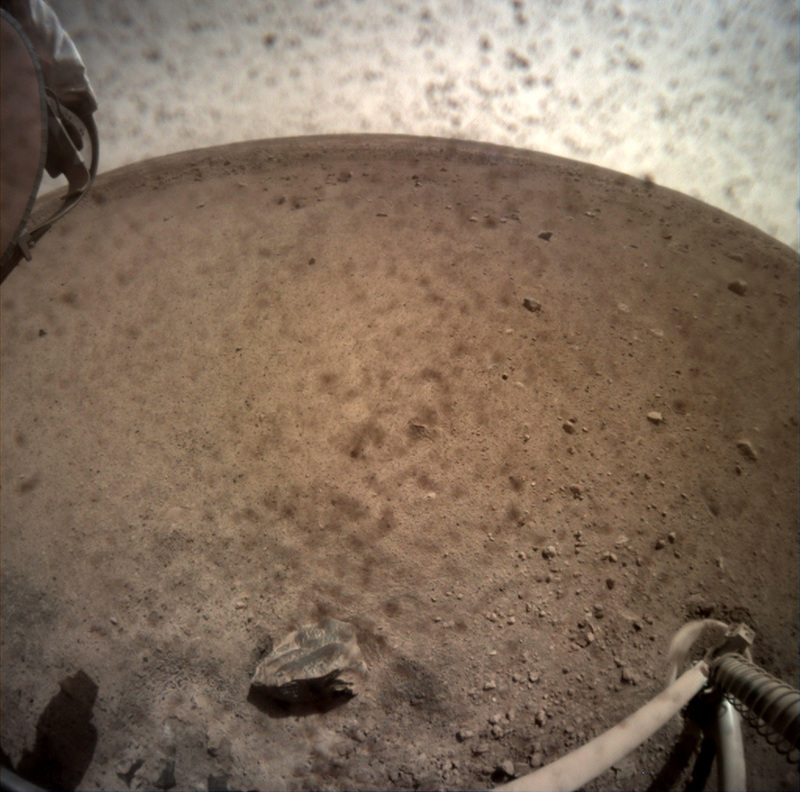 NASA’s InSight lander finally hit the Martian soil on 26th of November after a long journey of 7 months. It covered a distance of about 485 million kilometers on this trip. The primary objective of this mission is to study the deep interior of the red planet in order to improve our understanding of the rocky celestial bodies. The launch of InSight was executed earlier this year on 5th of May from the Vandenberg Air Force Base in California. As soon as InSight landed, it began the procedure for the first objective of the mission. It created a direct-to-Earth signal indicating that its solar panels are open and working. This means that the power source of the lander is in place and it can charge its batteries on a daily basis. Both the solar arrays of InSight are each 7 feet wide which allows the lander to create sufficient power for itself despite weaker sunlight on Mars (in comparison to Earth). Having said that, InSight doesn’t need a lot of power to operate. The engineers of the mission claim that these solar panels can create up to 600-700 watts on a clear day. What makes it even more impressive is that this lander can produce at least 200 to 300 watts when the panels are covered with dust. Scientists took a lead from the panels of Phoenix Mars Lander for developing InSight’s. In order to improve the structural strength and power output of the lander, the panels of InSight are slightly larger than the older spacecraft. Once the activation of solar panels is complete, the team plans to set up the rest of the instruments in an effort to capture more images. They will begin with the two cameras aboard the lander. One of them is mounted on the arm of InSight and will help engineers to examine the happenings on the lander. Secondly, a wide-angle camera is positioned underneath its body, which will determine the place to deploy the instruments. Watch the full gallery HERE!